Our newest addition to the collection is the popular buckled ankle strap. 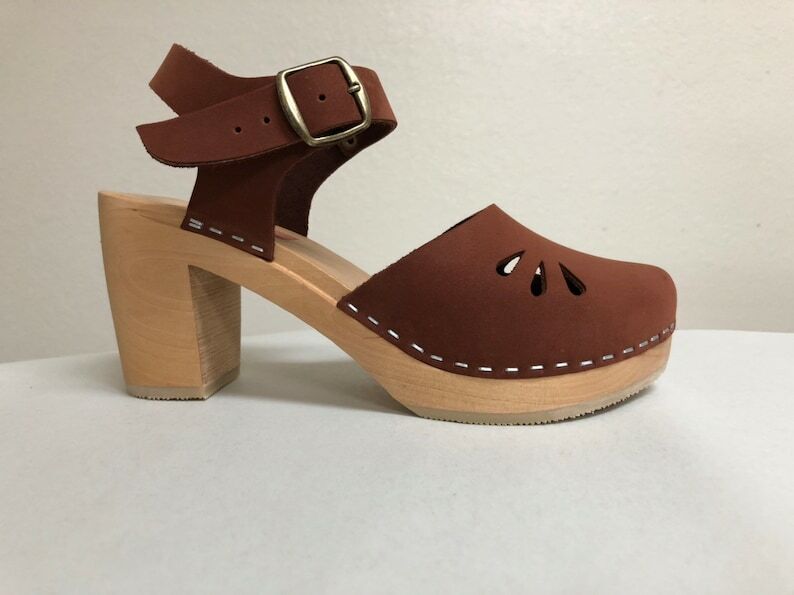 It makes the clog very secure on your foot and look GREAT! This design is in Our New Rust Buffed leather on a Natural wooden super high heel 3 1/2" and a bronze buckle. Finished with tear drop cutouts on the sides. If you would like this sandal in another color combination . please convo me or place a custom request.